Charly Black, born Desmond Mendez on April 6, 1980, in Bueno, Trelawny, Jamaica. He attended Rio Bueno Primary and High School. From as early as age 5 (five) he started singing, winning countless singing competitions thus proving that he will be a great talent in years to come. Before he started singing professionally his first job professionally in the music business was a selector. Starting out on a sound system in Montego Bay, Jamaica, call "Warlord Int'l" He then moved on to joined Bass Odyssey Entertainment in 2005 and has proven to be one of the best MC/Selector in the world. Bass Odyssey was instrumental in the development and grooming of him, he is still one of their MC/Selector to date. He has matured into one of the best entertainers Jamaica has produced, commanding a level of respect and credibility that will make him a strong force to be reckon with on the international stage. He stamped an indelible mark on the dancehall scene since his hit single "Nuff Nuff Luv" which was released in 2007 on the Nuff Luv Riddim produced by Mark Bartley of Bass Odyssey Entertainment. Charly first single "Woman It's You" was recorded in 2004 but his determination kept him in the studios creating irresistible melodic lyrics. He then followed this up in 2005 with "Going To The Party", "Back Shot Time", "Bubble" and "Girl I Love You" in 2008. 2009 he has recorded "Rich This Year" which was a major hit local and international and "Money Dreama" which got heavy airplay. His thought-provoking, heartfelt lyrics, coupled with his matured, energetic stagemanship makes him one of the most charismatic entertainers around today. He continued to perform and develop his stage performances while laying the groundwork for his most recent accomplishments. He has performed in New Jersey, New York, Texas, Florida, Boston, St. Lucia, St. Vincent, and has shared the stage with many acts which include, Mavado, Bounty Killer, Junior Reid, Vybz Kartel, Tarrus Riley, Turbulance, Assasin, Jose Wales, Munga, Mikeylous and Dadda. His mission is to spread authentic Jamaican reggae music and keeping the feel of the music alive through his voice. Charly Black and Christopher Martin Working On a Collaboration? I'm in so much love with Charly Black's hit track-You are a party animal.Its such a nice dancehall party jamz,i can listen to it all day. Check out this brand new single from dancehall recording artiste Charly Black 'Nothing Over Me' Listen and Leave your message below.. 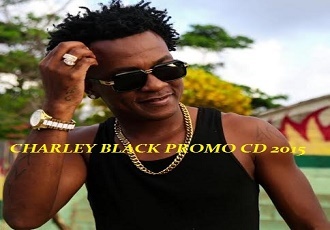 BRAND NEW HIT SINGLE FROM CHARLY BLACK JAMAICAN EVERYDAY PRODUCED BY DANE RAY RECORDS.